Saw these from the bus yesterday and went back to take a photo today – sadly the sun wasn’t shining but I’ve never seen so many flowers. Really fabulous – they always remind me of those flower paintings where there are all sorts of flowers – tulips, roses, gorgeous colours and shapes and often a Morning Glory or two. 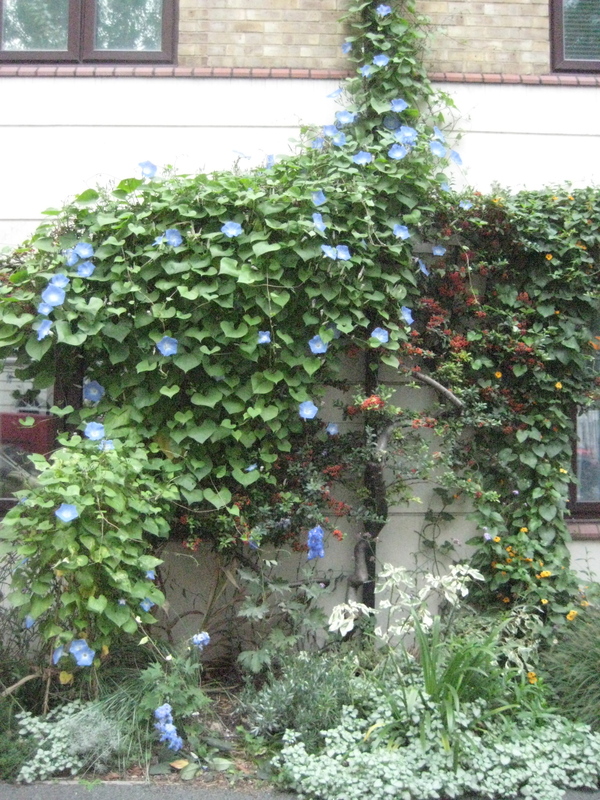 This entry was posted in Gardening, Life, London, Uncategorized and tagged Kings Cross, Morning Glory. Bookmark the permalink. how gorgeous!knocks mine into a cocked hat! !-and mine were over aaaages ago-but I am in the frozen north!the weather is appalling up here-straight from the arctic,they say….